Every night from now until mid August you can catch a Perseid meteor. As the shower approaches maximum, this year on Monday, August 12th for North America, the show gets better. While its fun to see a few meteors streak across the sky at night nothing beats seeing a strong meteor shower at its peak. The Perseids are special in that their peak is very broad, which means you will see a high number of meteors for many hours. At its maximum you should see about one meteor per minute if you’re away from any city lights. If one lives in the middle of North America, the Central Time zone, you would notice Meteor Shower Guide calculates the Perseid shower peak to be about 1:30pm. That’s the middle of the day. So what is the best night to observe? This year Sunday night, August 11th into Monday morning, August 12th, is the best observing time. Even more specific, early Monday morning in the few hours before darkness ends an observer will likely see the most Perseid meteors. This is due to two factors. First, the spot where the Perseid meteors appear to come from, the radiant, is highest in the sky at the end of darkness. Second, the meteor shower is approaching its peak since Earth is going through the densest part of the Perseid meteoroid stream. If you don’t want to stay up all Sunday night into Monday then I’d suggest getting up early Monday morning, before 3:00am and observe until it’s no longer dark. That maybe the best strategy for younger observers, many people can’t stay awake all night observing the night sky and if someone falls asleep by midnight they will miss the best part of the shower. If you want to show someone the wonders of a good meteor shower then Monday morning is the ideal time. What about observing Monday night? That would be a good fallback plan but assuming the Perseid shower behaves as it has in past years the meteor count will not be as high. While its only 12 hours after the showers predicted peak the hourly rates will be lower since the radiant is low in the sky. As the radiant rises Monday night Earth is exiting the cloud of dust particles causing the meteor shower. So by end of darkness Tuesday morning the number of meteor’s you might see is dropping. Observing as soon as its dark on Sunday or Monday night might result in seeing a special treat: earth grazing meteors. As with any meteor shower the best place to observe is far away from city lights. If you can make out the Milky Way then it’s probably dark enough. 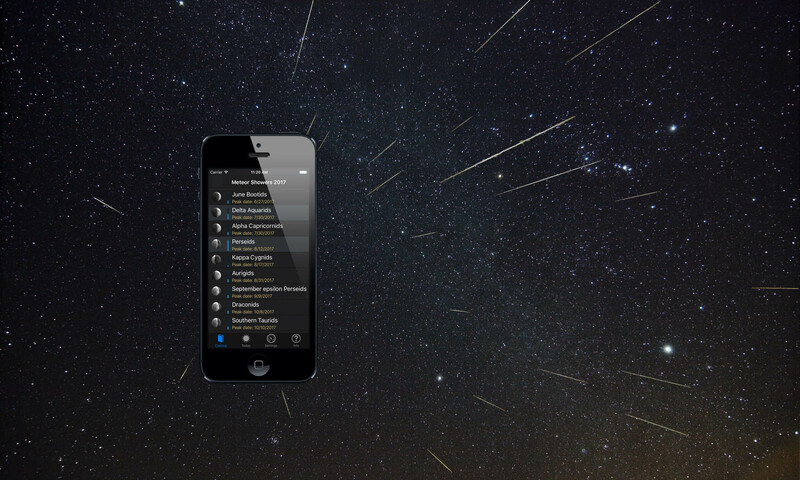 That is the most important rule in watching meteor showers: the darker the sky the more meteors you will see.